One of my Facebook friends messaged me about this today, and I wanted to let you guys know about it right away. 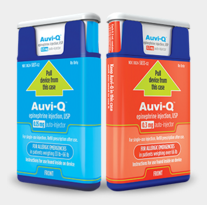 We use the Epipen which isn’t included in this recall, but if you use the Auvi-Q injector you will want to check this out. There have been reports about malfunctions with the injector. Go here to read more about the Epinephrine Recall.